Islamabad (Pakdestiny.com) Imran Khan has given a shut-up call to the cousin of Reham Khan for blaming Jemima Khan for allegedly running a campaign against her. A Reham’s cousin who without disclosing her/his name vomited out her/his venom against Jemima without having a little proof. The shameless cousin could not bring forth any evidence about Jemima’s involvement in any of the story run against Reham. While Jemima’s spokesman dismissed the claim as a ‘lie’ Imran Khan rises to defend her former wife. He gave a shut-up call to Reham’s cousin saying “it is a sheer non-sense.” Jemima had congratulated the new couple, he added. 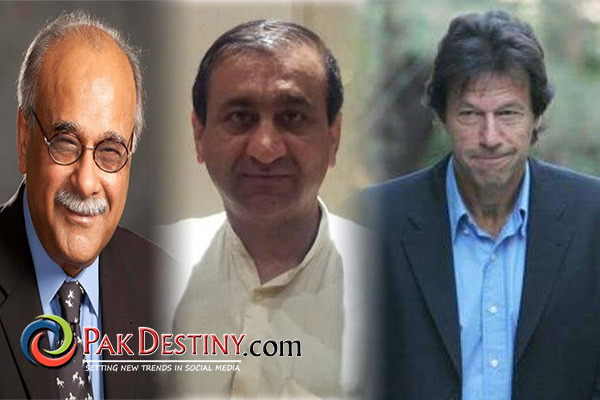 Will there be an end to Imran’s goof-ups? 2018 Polls day comes — neck to neck fight in Punjab between PTI and PML-N — will it be finally Imran, Shahbaz or someone else for PM slot? Media is running compaign against Ex wife and present wife of Imran as well as everything he is doing. Seems IK relations with his bride have become sour and looks like heading towards a tragic end. Once love to visit this site, but standard is getting down. LoC violations, Sindh, Rangers FIA and NAB, Shuja Khanzada and Rasheed Godail, Dr. Asim, oil prices and much more but here its Reham this, Reham that. Your last 4 out of 5 exclusives are about Reham! Pakistan’s stakes does not bank on her credibility. Focus on real issues of Pakistan.